In October, 2016 Attorneys Arash Homampour, Scott Boyer settled an Auto versus Auto / Dangerous Roadway case for $2.5 million against the Defendant and the State of California. The Defendant contended that the public property that the Plaintiff's vehicle crashed into was not a dangerous condition and that the other drivers’ carelessness was the cause of the collision. The As-Built plans for the subject location make it clear that the Defendant oversaw the design and construction of the subject location. The location and all of its features were designed and built by the Defendant in approximately 1978. Defendant admits that there have been no changes to the location since it was built. Westbound SR 118 at the incident location is a 4 lane freeway with a 3 lane connector ramp to Interstate 5, 2 lanes which go to southbound I-5 and 1 lane to northbound I-5. 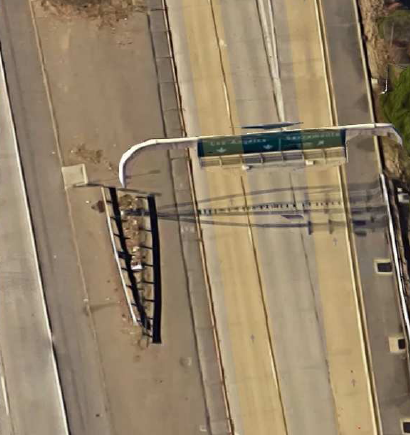 Between the lanes of westbound SR 118 and the I-5 connector ramps there is a gore area. 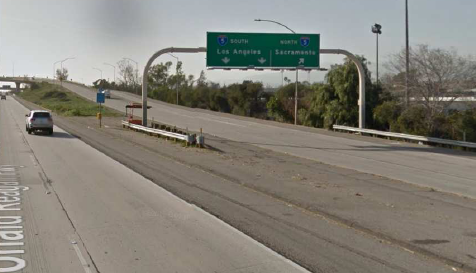 A gore area is defined in the Caltrans Highway Design Manual as “The area immediately beyond the divergence of two roadbeds bounded by the edge of those roadbeds.” Within this gore area is a large sign post which has guide signs that span over the lanes of the I-5 connector ramp. Around the pole is a metal beam guardrail. Between the westbound travel lanes of SR 118 and the guardrail is an asphalt concrete curb or “dike”. The dike is approximately 10 feet north of the number 4 SR 118 travel lane. This ten foot width is a paved shoulder for emergency use. This dike is approximately 6 inches high and at least 5 feet away from the guardrail. This tragic two-vehicle accident occurred on westbound State Route (“SR”) 118 on November 18, 2012. At the time, Plaintiff's mother was driving a 2001 Kia Rio in the number 4 lane. The Plaintiff, a minor, was a passenger in the back seat on the left hand side . Plaintiff's vehicle came into contact with Defendant's vehicle during a lane change, causing her vehicle to move out of the traffic lanes to the north toward the gore area where there was a dike, guardrail and post. Plaintiff's vehicle struck the dike and then the guardrail which caused her vehicle to leave the roadway and become airborne until the roof of the vehicle struck the post, killing Plaintiff's mother instantly. Defendant Caltrans designed and otherwise had jurisdiction over SR 118 at the incident location. The dike/guardrail/post design configuration that Defendant constructed and maintained at the location violated Defendant’s own design manual and acted to vault Plaintiff's vehicle directly into a 12,210 pound post of structural steel. Thankfully, Plaintiff survived the harrowing ordeal with only minimal injuries. But now he faces the life ahead of him without the mother he loved.